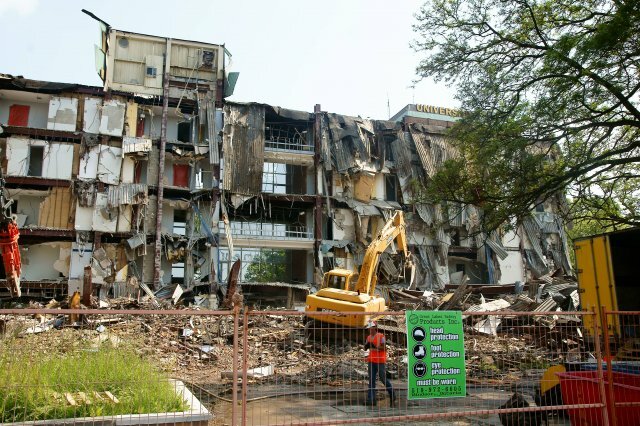 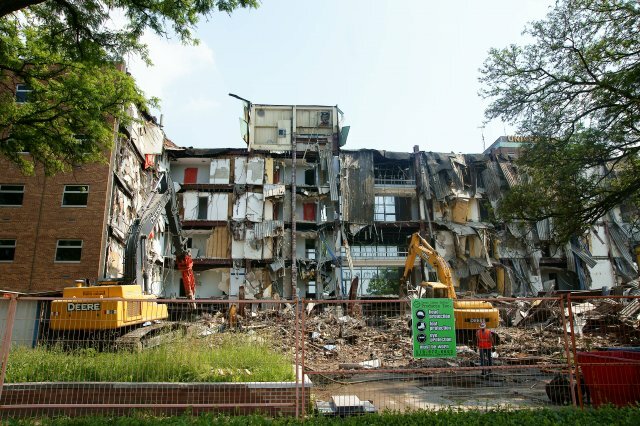 Demolition of former University of Windsor residence building Cody Hall continued Wednesday and Thursday. 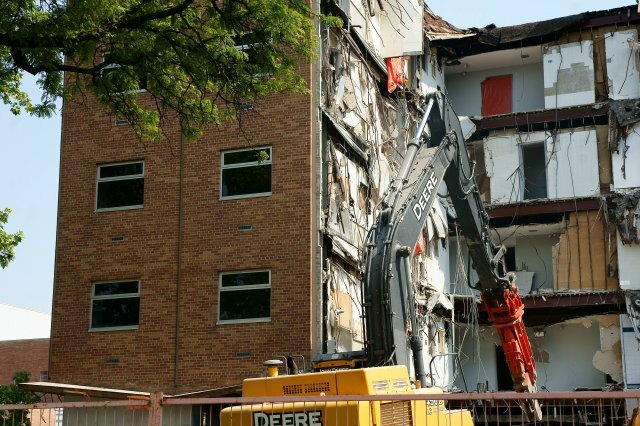 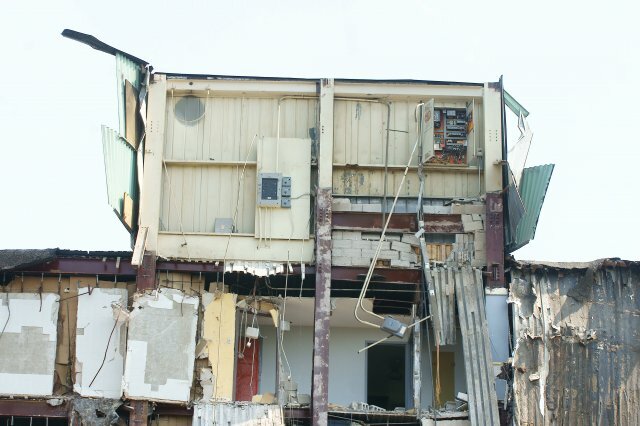 Jones Demolition continued to tear apart the structure lengthwise, carefully positioning their equipment primarily on the perimeter of the building as demolition progressed. 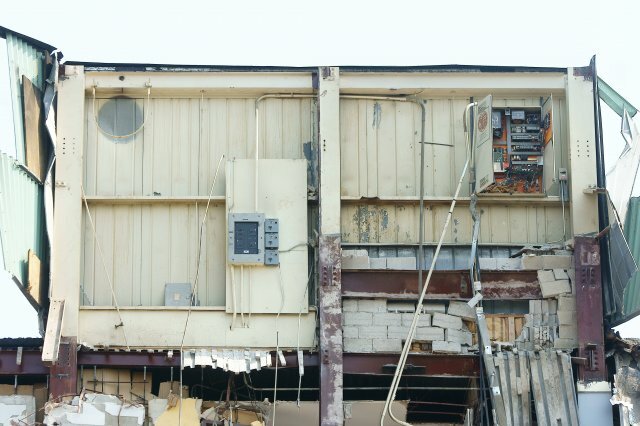 Doors and shelves, lamps, corkboards, metal desks and other items came crashing down into the piles of rubble. 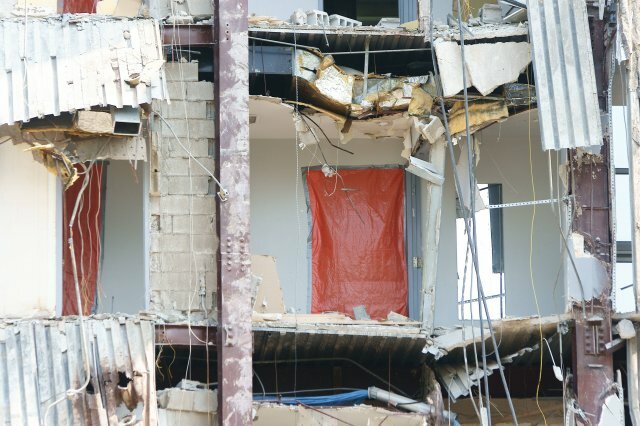 On Thursday morning excavators took apart the cinder-block elevator shafts and a rooftop elevator room along with it. 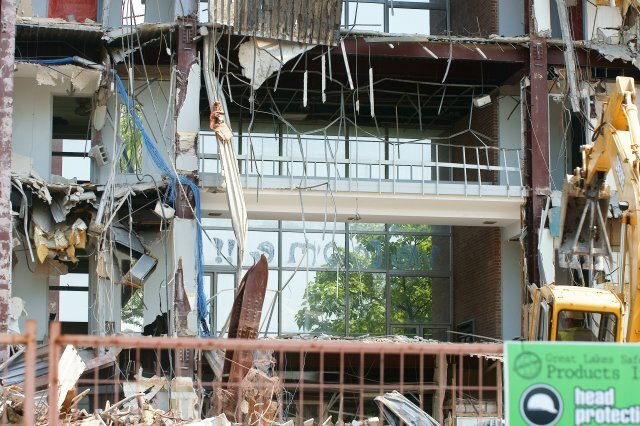 Jones Demolition had been working on the building since mid-March to remove asbestos and secure the site for demolition. 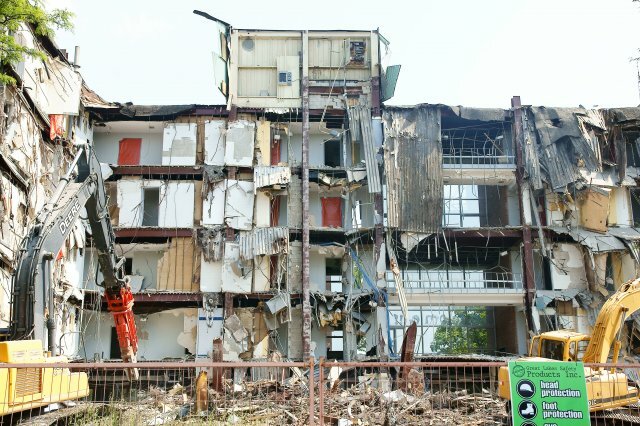 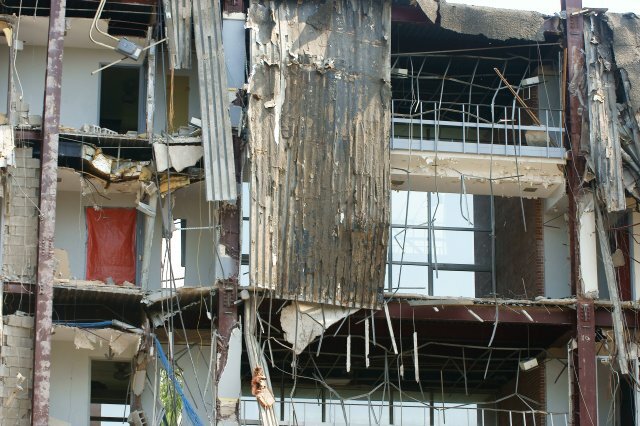 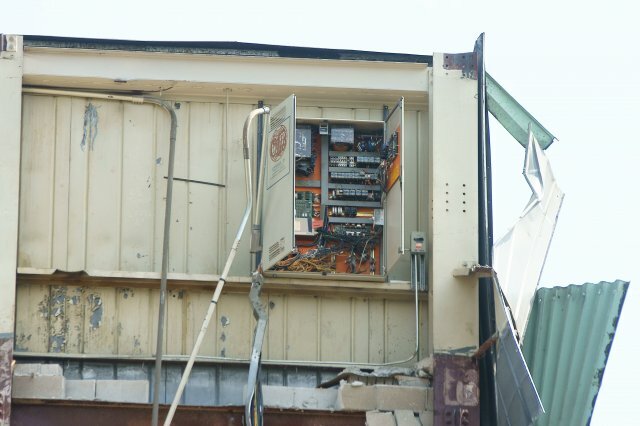 The University says that demolition and removal of debris should take abut four weeks. 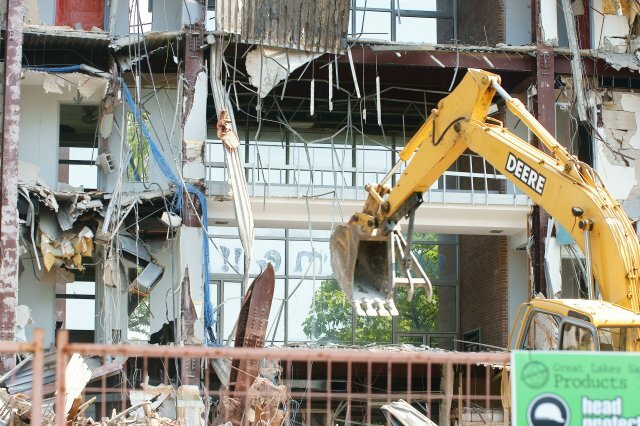 The site will be converted to a temporary parking lot to make up for lost parking space while the University’s new Parking Garage and Innovation Centre is constructed.